(Newport, Oregon) – State officials are holding an in-depth presentation on clamming on the central Oregon coast this month, while nearby another group hosts a guided hike to find birds you may not otherwise be able to spot. (Photo of an American Robin by Ram Papish). 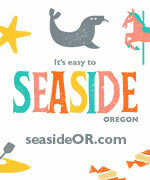 It all starts in Waldport on May 19. Oregon clammers can learn the ins and outs of bay clam populations in Alsea Bay through a presentation by Oregon Department of Fish and Wildlife shellfish biologists on May 19 at the Oregon Coast Community College South County Center in Waldport (3120 Crestline Drive, Waldport, OR 97394). The presentation will begin at 6:30 p.m. The purpose of the presentation is to share results from the 2015 survey of Alsea Bay’s clam populations, including where they are found, their abundance, and their preferred habitat. The presentation will focus on clam species that are popular with recreational clammers such as, purple varnish, soft shell, cockle, and gaper clams. The agenda will also include the introduction of new clamming maps and an opportunity for members of the local community and stakeholders to meet and ask ODFW shellfish biologists and staff questions about the completed study. The survey of Alsea Bay clam populations was conducted by the ODFW Shellfish and Estuarine Assessment of Coastal Oregon (SEACOR) team, which documents populations of recreationally important bay clams along the Oregon Coast. Information gathered by the SEACOR project will be used by clammers, biologists, and resource managers, and provides a baseline for monitoring future changes in the estuary. Funding for this research comes from recreational shellfish license dollars. Details about the SEACOR program and study results for this and other studied bays, visit the ODFW website: http://www.dfw.state.or.us/mrp/shellfish/seacor/index.asp. For more information about the meeting or the work of the shellfish assessment project please contact the ODFW MRP office at 541-867-4741, or email ODFW.seacor@state.or.us. On Saturday, May 21, you can hit the trails of the central Oregon coast to discover birds. It starts 8 a.m. at the Mike Miller Educational Trail just south of Newport. Professional bird enthusiast Ram Papish will lead a Yaquina Birders & Naturalists field trip along a one-mile wooded trail loop in the Mike Miller county park. Migratory songbirds will have arrived and their songs liven the forest. You'll search and listen for Tree Swallow, Orange-crowned and Wilson's Warblers, American Robin, Rufous Hummingbird, Purple Finch, Olive-sided Flycatcher, Black-headed Grosbeak, and Swainson's Thrush.